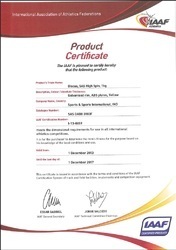 Established in the year 1996 we, “Sports And Sports International”, are an eminent name involved in manufacturing and exporting a comprehensive range of Sports Accessories, Equipment and Miniatures Items. Manufactured using optimum-grade basic material and advanced production technique, this range is featured with durability, smooth-finish and quality. Keeping in mind divergent demands of the clients, we offer all our products in different sizes, colors and designs. Along with this, we provide our clients with customization services as per their requirement. We are benefited by a team of professionals and sound infrastructure setup that make us to accomplish undertaken consignments. Our team comprises designers, managers, weavers, production personnel, who hold enormous understanding of their concerned domain. Professionals that we are supported by, conduct surveys to understand emerging requirements of players and then make assiduous efforts to develop innovative products as per the same. They interact with the clients not only to understand their requirement but also to get feedback on our business practices, which further make us to serve them with convenient and fair policies. Whereas, our setup is installed with latest machinery and utilities that make us to execute entire production process in an effective manner. Segregated in different units, this setup is connected with shipments modes, making us to deliver consignment at the clients’ end within committed time-frame. Apart from aforesaid, we strive to establish harmonious relationship with our clients through client-centric approaches and ethical business policies. It is due to our approaches and products; we are able to sustain trust of significant clients based across the globe. We have been able to explore new dimensions under the profound mentorship of, 'Mr. Shashank Gupta' (CEO). With his rich experience and commendable knowledge in this discipline, he supports us in executing challenging business operations successfully. 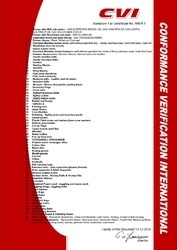 Our company contains more than 150+ CE certified products. 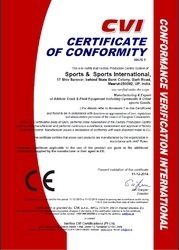 We hold expertise in manufacturing and exporting a commendable range of…. Designed to perfection, this range is widely appreciated for its quality and smooth-finish. Apart from our product-range, there are several other factors that support us in meeting expectations of the clients.